IN THE NAME OF ALLAH , THE COMPASSIONATE ,THE MERCIFUL. Why this site? The issue of making a website for the Maharaj Family has been on my mind for a long time. This issue became more compelling when I started getting prompting from friends and family. First let me tell you the difficulties I had to undergo. The challenge was how to go about it. I was no computer freak; less still was my knowledge of web hosting . I pleaded with my children for setting up a design for the site but either they were too lazy or did not know how to do it. Well I started by joining the kids on the FaceBook network and tried to setup some family information and pictures. This worked fine for a few months and then face book cut me off. Whenever I tried to login I would get an error message “invalid email address”. I really got frustrated and then one fine day, a close friend of mine Sayeed Akhtar told me that there are many free hosting sites which could be used and the tools for designing are simple for a novice like me. I got motivated and one fine Friday I started my search on Google and found www.jimdo.com . One thing led to another and to my astonishment the site got developed. My main goal was to keep it simple and target the new generation of our family so as to enable them to become familiar with the family background and understand the role of their forefathers in the service of the mission of the great Sufi saint of Asia, Hazrat Khwaja Moinuddin Chishty (Rahmatullah Alaih). I hope I have not disappointed my audience. I have deliberately avoided some information which could be of sensitive nature for the sake of privacy. The content on this site are based on my memories and my close interactions with my elders. If you find any error, mistake or inaccuracies, please feel free to correct me. Constructive comments for the improvement of the site content are welcome. The links provided are for information purpose only and not as a promotion for any particular site or point of view. As the site is still in its development phase, more information will be posted on regular basis in the near future, including more photographs. Hence please visit this site frequently and keep me posted with your suggestions. I am indebted firstly to my father Syed Idrismia Maharaj for telling me details of family background and preserving many photographs and newspaper cuttings which i have used in this website. I am also assisted by my uncles Syed Yunusmia Maharaj whose booklet Holy Family of Hind-ul Wali Maharaj provided material and Syed Ilyasmia Maharaj, who provided advice and some rare photographs, Syed Sulemanmia Maharaj briefed me on the family tree and gave me insight into many family stories. Last but not the least; i am indebted to my wife Salima Tasneem for her constant encouragement and support. My children helped me in proof reading and suggested corrections. The Maharaj Family got its name from Syed Wali Mohammed Maharaj in the 19th century. 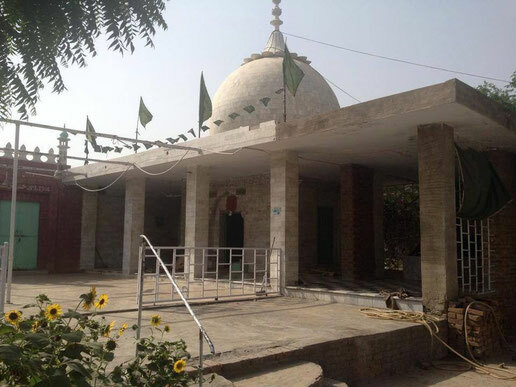 Syed Wali Mohammed Maharaj being a descendent of Khawaja Syed Fakhrudin GurdeziChishty (RA), the first spiritual successor and Special Attendant of Khawaja Moinuddin Chishty (RA), was a Sufi saint and Pir of the Chishty order. He was bestowed with Divine Love which crossed all boundaries of creed, race or religion, attracting people as disciples. His views of sacredness of life and unbiased views on religion resulted in being proclaimed as a Guru Maharaj by many princely families of the native states. The Maratha rulers particularly belonging to the Schindia linage had great spiritual faith in him and honored him with the title of MAHARAJ. Beside this the Nawabs of Tonk (Rajasthan), Maleer Kotla (Punjab) and Luharu (Haryana) hailed and recognized him as a spiritual mentor. It was thru him that all traditional and conventional rituals were performed during their visit to the Holy Dargah at Ajmer. Cash, Horses and camels were offered to him as Nazrana (presents) which I would distribute to the needy. 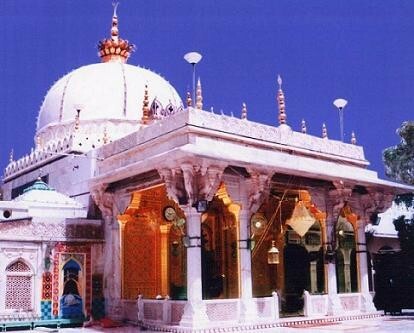 Syed Wali Mohammed Maharaj established the first Gaddi nearest to the Holy Tomb of Khawaja Moinuddin Chishty and was recognized as the Gaddi nasheen and one of the principal custodians of the mausoleum of the Sufi Saint Hazarat Khawaja Moinuddin Hasan Chishty at Ajmer Sharif India. Thus, continued the saga of the Chishtiyamaharaj and his descendents. Syed Wali Mohammed Maharaj was succeeded by his second son Syed Zahurmia Maharaj, as his eldest son Syed Noor Mohammed was a Majzoob and died at an early age. Beside the disciples of his father Syed Zahurmia Maharaj had his own follower particularly in undivided Punjab. While visiting Jullundur Punjab for spiritual discourse and guidance to his followers during the tragic days of partition of India by the British government, he was forced to migrate to Lyallpur (present day Faisalabad) in Pakistan and continued to live with his disciples (murids) away from his family and the holy city of Ajmer Sharif. A poet and lover of good food and dress, he missed Ajmer Sharif and visited the city as frequent as possible. Syed Zahurmia Maharaj died in 1967 and is buried in his adopted city among his disciples (murids)and his Urs is celebrated annually by his disciples with great devotion. Syed Zahurmia Maharaj was succeeded by his son Syed Yusufmia Maharaj. Syed Yusufmia Maharaj was a very active participant in the affairs of the mausoleum (Dargah) of Hazarat Khawaja Moinuddin Chishty at Ajmer Sharif and developed close relationship with the religious and political leadership of India and neighboring countries. He was a frequent traveler and performed more than 25 hajj (visiting Makkah al Mukkarama and Medina al Munnawara in Saudi Arabia), he also traveled to Iraq, Iran, Syria, Egypt, and Pakistan. Every year Syed Yusufmia Maharaj attended the Urs (death anniversary of saints) over India including Khawaja Qutubudin Bakhtiar Kaki all and Khawaja Nizamudin Aulia in Delhi, Khawaja Allaudin Sabir in Kaliyar (UP) Hazarat Makhdom Ali Shah at Mahim Mumbai, Khawaja Fakhrudin Chishty in Sarwarsharif Rajasthan, and many more. Syed Yusufmia Maharaj was actively involved with improving the Dargah administration and was a life member of the Dargah committee and director of the Mogul lines responsible for Hajjis going by sea. and many heads of Khanka's and silisa’s in India as well as abroad. His first exposure to social and political agitation started during the Khilafat movement in 1920s.Influnced by Maulana Mohammed Ali Jauhar, he left his studies in the British run school and joined the Khilafat movement as a Captain of a youth team organizing rallies and staging peaceful protest against the imperialist policies of the British Empire. He continued his association with the independence movement to free his nation from the British Raj. After independence he kept himself busy with various social and religious activities was closely associated with Pundit Jawarhar Lal Nehru and later on with his daughter Indra Gandhi. Mrs. Gandhi was particular fond of him and would call him Babasahib. She visited Ajmersharif often and would always perform the Ziarat with Syed Yusufmia Maharaj and seek his blessings. He was appointed as a Director of Mughal Lines a shipping company taking Hajj passengers to the Holy Land for Pilgrimage. Mr. Fakhrudin Ali Ahmed President of India nominated him as a special permanent invitee for life, to the Dargah Khwaja Sahib Committee Ajmersharif, to guide and advise its members in their deliberations and improve the administration of the Dargah Sharif. This was the time when the Dargah administration was nearly bankrupt due to mismanagement and paucity of funds, Syed Yusufmia Maharaj organized not only funding but also was the prime mover to bring the guest house project into reality by arranging for the first donation in the name of his youngest son Syed Sulemanmia Maharaj. Today thousands of Zaireen are benefiting from this project. and some other prominent education institutes. continued in the footsteps of their forefathers. He was an emotional person and easy to make friends, which made him very attached to his family and friends. During his employement and as well as after retirement he performed Hajj and visited the Tomb of the Holy Prophet in Medina al Munnawara. He also visited Iraq for ziarat. His second son Syed Aslam Maharaj died in a tragic accident at Surat and is buried there. This tragedy affected his life and he never fully recovered . After retirement he returned to Ajmer Sharif and engaged in various activities associated with the Dargah which he visited daily. Syed Idrismia died on27 December 2005 and is buried in Charyar graveyard of the Dargah Sharif along side with his parents and his favorite maternal Uncle Syed Zahurmia “Z”.His wife Syeda AmtulBatul Chishty died on 28 April 2008 and is buried next to him. Syed Yunusmia Maharaj retired from the State Revenue Board ,the most honest employee of his time, keeps himself busy with the affairs of the Dargah, a well read person, deeply spiritual in his outlook, always attending Sama (Qawali), started the formal birthday celebration of the Holy Prophet of Islam (12 Rabi Alawal) by organizing the procession from the Dargah Sharif and continues to date. His interest in interfaith dialogue led him to attend interaction with leaders of all faiths and is also member of Theosophical Society .He also wrote a book on the Maharaj Family. His eldest son Syed RajaMunis Maharaj died in a tragic swimming accident in May 1989 at Jeddah and is buried in Jannat alMaala graveyard In Makah alMukarrama. Presently Syed Yunusmia Maharaj is the Head of the Chishtiyamaharaj Family and lives with his son Syed Shariq Maharaj, who works for the Indian Customs Department at Ajmer. Syed Ilyasmia Maharaj is retired from the State Education Service and spends most of his time in the Dargah Sharif Sandli Masjid or the Family Hujra (meditation room) gradualy achiving the Manazil within the Chishtiya Sisila. He recently performed Umra and visited the Holy Tomb of the Prophet(SA) in 2008. Congress ticket.Presently he is continuing in the footsteps of his elders at Ajmer. His second son Syed Nawaz Maharaj died in Mumbai in1987 from meningitis and is buried in Chillasharif graveyard in Ajmer. His other sons Syed Almas Maharaj and Syed Wali Maharaj are both Anslemites and living with there own family. His daughter Syeda Nahid Maharaj is married with Syed AbdulRahim Moini and have two sons and two daughters and live in their acentors home in Naini-aage in the Dargah area. Syed Sulemanmia Maharaj retired from the Municipal service and is actively involved in the affairs of the Anjuman Moinia Fakharia Chishtyia .he lives in the ancestral house of the Maharaj Family along with his family. He has performed Hajj and visited the Holy tomb of the Prophet of Islam and visited Iraq for Ziarat.His is emotionally attached to the Ahlebait AlRasul and an active participant in the Muharram ceremonies and the Urs of Khwaja Fakr (son of Khwaja Moinuddin Chishty) in Sarwarsharif. He has two sons Syed Zahurmia Maharaj and Syed Husain Maharaj,both live with him in the Maharaj Family ancentor home Maharaj Manzil near Imambara.He has four daughter's Syeda Nizhat,Syeda Zeenat,Syeda Nighat and Syeda Farhat,all are married and live with their family in Ajmer. Syed Farid Maharaj is the eldest grandson of Syed Yusufmia Maharaj and after completing his graduation from St.Xavier’s College and Gujarat Uniniversity, Ahmadabad, joined Reserve Bank of India and later on went to work for the Industrial Development Bank of India at Ahmedabad. He is married to Dr. S.M.Khaleel Chishty’s daughter Syeda Salima Tasneem and is presently working in Jeddah. His five children were all educated in Jeddah at the Indian International School and Al Minarat School .The eldest daughter Syeda Zainab is a post graduate in English Literature and presently working in Pune, the other two Syeda Batul and Syeda Kulsum are both commerce graduates. Syeda Batul has a daughter Alia and Syeda Kulsum have a son OsmanAli and daughter Ayesha. Syeda Rabab has done a diploma in Textile Design and has a Bachelor Degree in English literature and presently teaching in Jeddah, his son Syed Mohammedmia Maharaj passed has his senior Secondary CBSC exam held in March 2009 and is a student of Law in Symboisis International University, Pune. Syed Aslam Maharaj has three children Syed Azam Maharaj who did his school at St.Anslem Senior Secondary School and worked for three years in Jeddah and made many friends ,he returned to Ajmer Sharif in 2007 and is actively involved with welfare of the Zaireen’s at the Dargah. Syed Aslam Maharaj’s daughter Dr.Syeda Ruqayyia after graduating from Jamnagar Medical College and Post Graduation (MD) in Gynecology from Jawaharlal Nehru Medical College, Aligarh Muslim University, Syeda Tahera after graduating in Event Management is working for an event management firm in Jaipur. Syeda Farida married Syed Usman mia Chishty a person with a lovely personality who lived a full life and enjoyed the company of friends. Syed Usman mia Chishty died in a tragic car accident while returning from a friend’s son’s wedding. He is buried in the Charyar graveyard in the Dargah Sharif near the grave of his grandfather Syed Shah Gulam Chishty. Syeda Farida and Syed Usman mia have two sons and two daughters. The eldest Syeda Nazia after graduating from Sophia College did her her MBA and is working with a multinational company in Jaipur, were as, both sons Syed Salman Chishty and Syed Aman Chishty after graduating from Wilson college and Jai Hind College Mumbai are actively involved in the welfare of the Zaireen’s visiting the Dargah Sharif and various commercial and philanthropist project, including the Chishtiya Foundation. The youngest Syeda Farah has passed her senior secondary exam (CBSE) held in March 2009 and studying for her BA. Syed Akram Maharaj after graduating in commerce is presently working with the Bank of India at Ajmer. He is a very good badminton player and has won many trophies for his team. He is also active in the welfare of the Zaireen’s visiting the Dargah Sharif and runs an NGO ChishtiyaMaharaj Foundation.His social circle is very wide and is a regular blood donor. His main contribution for the family is his caretaker role for his parents during their old age. studied at Lawrence Mayo School, she is a good cook and a family person, his son Syed Hamza Maharaj has passed his senior secondary school exam (CBSC) held in March 2011 from St. Anslem School Ajmer. He learned swimming at a very young age and is a pleasure to see him swim. Syed Ajmal Maharaj studied at NID Ahmadabad and did a fine arts course in France. A profluent painter with many art exhibitions, he has written a book SUFISANCTUARY(a soft copy is under development for this site), he has taken over some of the activities of the Maharaj family and is a regular attendee of the Sama during the Urs. His three daughters are Syeda Saba studying at the Khwaja Gharib Nawaz Model School, while the other two , Syeda Zara and Syeda Taiba are still preparing to enter school.